Did you overspend this summer? You're not alone. A 2015 survey conducted by consumer credit reporting agency Experian found that 68% of people overspend while on vacation. Additionally, 40% of the people who participated in the survey said they accumulated credit card debt while on their holiday, and 46% of the people surveyed said they used their credit card to finance their entire vacation. Even if your partner and you haven't travelled anywhere this summer, with all the fun activities, shopping, drinks and meals out, our budgets might be feeling the pain. Now that we're approaching the end of summer (sniff), it's a great time to get your finances back in check. The first thing you need to do is look at your financial situation and confront any outstanding debts. Look at your bank statements online to ensure you see all your latest transactions, and your current balance to see how much money you may actually owe. Next, it's time to write up a budget by first making a list of your monthly expenses. These are things like utility bills, rent or mortgage, vehicle insurance, food, etc. Based on your current budget and expenses, how much money can you allocate to repaying your debt, and how long will it take until they're all paid off? You will then need to look at what expenses you can reduce or remove entirely. With a few small adjustments to your lifestyle and spending (and a little creativity), you can repay your debt while still enjoying life! Identify ways your partner and yourself can cut down on expenses. For example, can you both start bringing lunch to work instead of purchasing it every day? What about using public transportation instead of the car? Once you've identified ways you can reduce or remove expenses, you should be able to see just how much money you can save. If you allocated that saved money to repaying your debts, how long will it take you to be debt free? 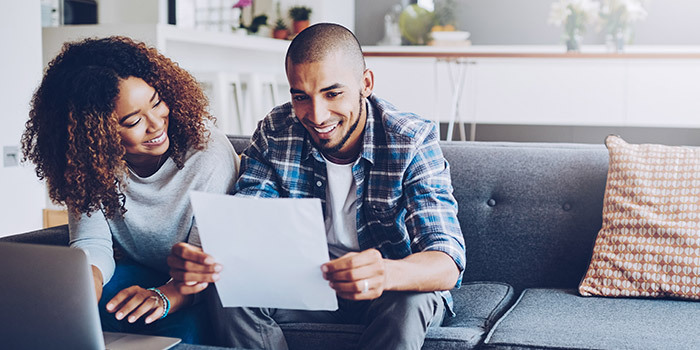 If you've worked out your budget and it looks like your debts may impact you more than a few months, now might be a good time to explore an additional source of income. Do you have a spare room that you can rent out on Airbnb? Can you pick up a part-time job for a couple of months? Does your workplace offer any overtime opportunities? Think about ways you can earn extra money to tackle your debts. If your summer spending has left you in a situation where you need to access funds immediately, then a short term loan from Ferratum Money can provide much needed relief. Get your own customized Ferratum Money online loan through our easy-to-use online application. In just 10 minutes, we'll be able to provide you with an offer, and upon accepting you'll get funds deposited directly into your account in about 24 hours. Take up to 12 months to pay us back, giving you more than enough time to develop a budget and get your expenses under control. Our Personal Loans are easy to manage and affordable. Apply today to see how much you're approved for! Here's to getting your finances back in check.